You are here: Home / Nutrition / Are Those Metals In Your Protein Shake? Do you read the food label ingredients on packaged foods that you eat? You should! You don’t know what you are missing and what you are missing reading about may be food ingredients that are just bad for you! Aside from all the hidden sugars, complicated names that should stay in a lab, trans fats, and other unmentionables, some food products actually contain metals. Yes, metals! I am an avid food label reader and was shocked by this one! You should be too! 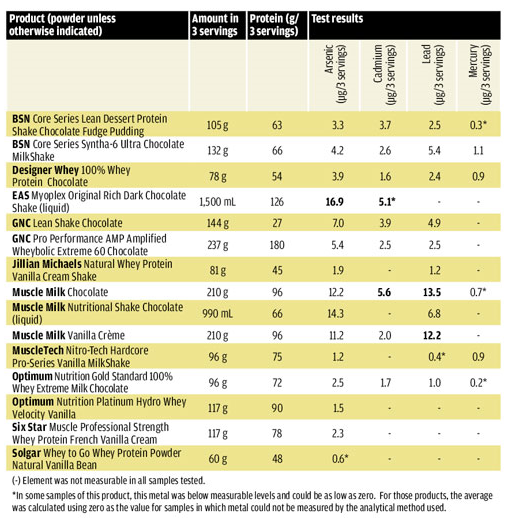 Recently, Consumer Reports did a comparison of several popular protein shake drink to find out the average amounts of metals found in three servings of each drink. Amounts at or exceeding those limits are in bold. Experts said three servings a day is common. (source: Consumer Reports). 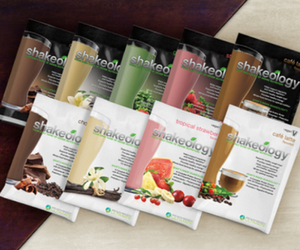 On the other hand, I invite you to read the ingredients of Shakeology meal replacement shake.Notice that Shakeology did not make the list! Next time you think that $4 to $5 per serving is too much for a meal replacement drink serving, remember that you get what you pay for! 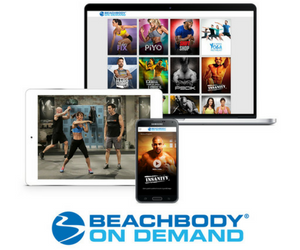 Learn what doctors are saying about Shakeology!